The above three Departments in Graduate School of Engineering, The University of Tokyo, offer opportunities of advanced study and academic research to foreign students under the Special Graduate Program in Engineering for Systems Innovation. The program involves Master’s (two years) and Doctoral (three years) courses leading to the corresponding degrees. Accepted applicants to the program will be enrolled in the next winter semester, which will begin on October 1, 2012. Lectures and instructions for research are given generally in English. Japanese language courses are optionally available. About ten of successfully accepted applicants will be awarded scholarship from MEXT, Japanese Ministry of Education, Culture, Sports, Science and Technology. The scholarship (the amounts of monthly stipend is 155,000yen for Master’s course or 156,000yen for Doctoral course if your place of research will be in Tokyo? subject to change depending upon the annual budget of each year) is to cover living expenses as well as a round-trip air ticket. Awardees are also exempted from both an entrance fee and tuition fees. An applicant who is eligible for admission to the Master’s course must hold or have gotten a Bachelor’s degree from an accredited institution, and one to the doctoral course must hold or have gotten a Master’s degree in the same manner or its equivalent at the end of September, 2012. The age of an applicant must be under 35 on April 1, 2012 and must be a citizen of a country with which the Japanese government has diplomatic relations. Military personnel and military civilian employees are not eligible. A person with more than one nationality cannot become a MEXT scholarship student. The documents listed below must reach the International Student Office of the Department of Systems Innovation by December 9, 2011. In case you want to submit the application documents urgently to meet the due date, please send to [email protected] all the documents as electronic data by December 9, 2011 and then submit hard copies through express mail as soon as possible. The application forms and related information are to be listed on the following website. Application form for Japanese Government (MEXT) Scholarship. (Form #1). Certificate of health completed by a registered medical doctor (Form #4). A copy of the latest periodic medical check-up record of your institute substituted for Form #4 is acceptable. Certificate of graduation and degree for each study period (bachelor, master, doctor), with English translation if the original one is not in English. If you haven’t graduated yet and can’t obtain them, please submit a certificate of future graduates – it must be written the date of you will be conferred a degree. The certificate of degree must be submitted by September 30, 2012 at the latest. Official transcript of academic records of undergraduate and graduate study from each institution that the applicant graduated from or is presently enrolled. If the original one is not in English, it’s English translation must be attached. Two evaluation reports (i.e. confidential evaluation reports on the applicant). One of evaluators must be a dean or a person holding a high position in the institution that the applicant is presently attending or attended most recently. The other one should be a faculty member of the institution who knows the applicant well such as an academic advisor. The evaluation is expected to rank the applicant according to his/her grade within a certain education unit, for example, “top 3 among 98 students of the department, top 5% among 350 graduates” (see sample). The report should be signed, sealed, and then sent directly to the International Student Office of the Department of Systems Innovation. A recommendation letter from dean of the academic institution that the applicant most recently graduated from or is presently enrolled in. The letter must be written as “to the President of the University of Tokyo” and recommender’s signature, e-mail address and telephone number must be indicated. Be sure not to send it directly to the President. It should be signed, sealed, and then sent directly to the International Student Office of the Department of Systems Innovation. A photocopy of passport (do not send the original passport). If the applicant does not have a valid passport, census register, or other available proof of citizenship should be submitted. A summary of thesis, research papers and other publications authored by the applicant. Official Score Report of TOEFL (Test of English as a Foreign Language) or a photocopy of Examinee’s Score Record of TOEFL. The applicant may ask the Educational Testing Service to send his/her official Score Report directly to us, using DI code “8596” and Department code “99”. These code numbers are not reflected in our department’s name. But they are correct. If the applicant cannot submit TOEFL score, any of the following official certificates is required. These are IELTS, TOEIC, and Cambridge Examination. Item (12) does not apply to the native English speaking applicants. Score of GRE (Graduate Record Examination), if available. The applicants are selected primarily based on academic qualification according to their submitted application documents. The primarily selection results will be notified by an e-mail to applicants in late January 2012. Each applicant who has passed the primarily selection must have an interviews as the final selection. The applicants could be given several interviews through the internet by a group of faculty or an interview face to face with a faculty member you wish to be supervised. Final selected applicants will be required to submit additional documents such as a pledge and reference from the employers (only for those who are currently employed.) They must reach the department office by February 15, 2012. All applicants for this special program must have completed at least 16 years of school education and have graduated from a university or an equivalent. In case an applicant had not finished 16 years of school education, but had been admitted as a university graduate (with a bachelor’s degree), the precise nature of the applicant’s educational background in relation to the educational system of his/her country must be explained clearly using a separate sheet. Any applicant who made applications to more than one institution of other 2012’s MEXT scholarship will be automatically disqualified. An applicant is also disqualified when he/she has been found to have intentionally provided false information to deceive the selection process. Successful applicants of the special program must arrive at Narita International Airport or “Tokyo International Airport (Haneda airport)” in Japan on the fixed date in early October, 2012. Admission may be canceled if one fails to arrive there within specified period in early October 2012. Successful applicants of MEXT scholarship can’t receive any other scholarship after enrollment. 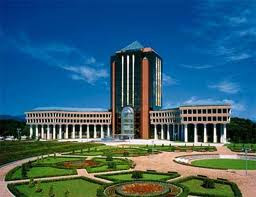 Successful Applicants of the special program will be announced from us -the International Student Office of the Department of Systems Innovation- by the end of February 2012. The final notification of awardees of MEXT scholarship will be informed from us after we will receive the announcement from MEXT by the end of June 2012. Demikianlah informasi Special Graduate Program in Engineering for Systems Innovation, University of Tokyo, Japan kami sampaikan, semoga bermanfaat.